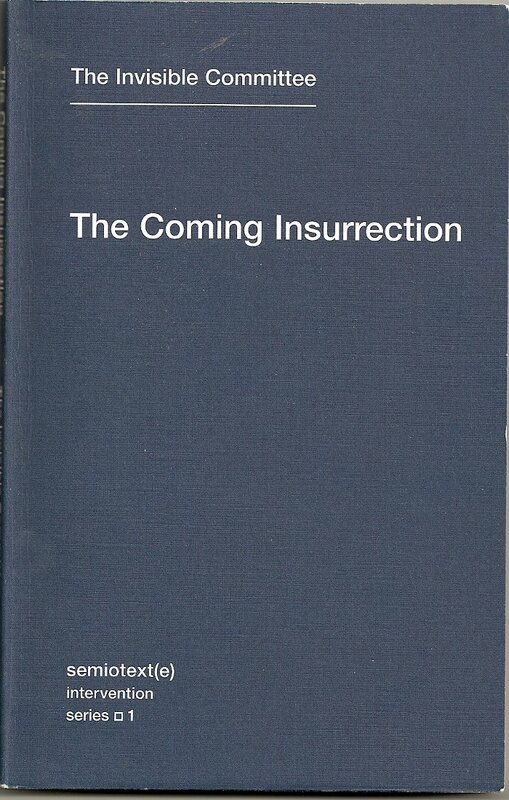 The Coming Insurrection è un libro scritto nel 2008 da un collettivo francese conosciuto come "The Invisible Committee", di cui farebbero parte alcuni anarchici poi arrestati nel piccolo villaggio di Tarnac. Naturalmente quando si parla di anarchici, non è che si deve subito pensare a quei bambini cattivi che spaccano le vetrine e che vogliono portare il caos nel mondo, ma piuttosto ricordare che anarchia significa autonomia e libertà degli individui, contrapposte a ogni forma di potere costituito. Quindi dovrebbe essere una cosa positiva, in teoria. Tralasciando i significati e l'alterazione delle parole, The Coming Insurrection è un buon saggio di analisi della società umana, della sua decadenza e delle possibili soluzioni per ogni individuo consapevole. Si parla quindi di downshifting, di autoproduzione, di organizzazione in gruppi di persone che si aiutano a vicenda, di re-imparare a coltivare e allevare, di condividere informazioni, di rinnegare ogni tipo di controllo che non sia uno spontaneo rispetto per gli altri. Una prima parte del libro è quindi un dipinto positivo delle capacità umane con cui uscire dalle problematiche del sistema economico, sociale e politico attuale, con spunti interessanti su cui riflettere. Nella seconda parte il collettivo si perde, a mio parere, nello stesso paradigma che critica: una imposizione delle proprie idee a qualunque costo, anche con la forza. I ragazzi di The Invisible Committee sembrano cadere nella contraddizione, dimenticandosi che gli altri dovrebbero essere liberi di continuare nella loro autodistruzione. Hanno forse una speranza per il futuro dell'uomo e un desiderio di proseguire la propria specie. Nella loro visione, gli esseri umani avranno un futuro solo a seguito di una insurrezione, e questo è vero e falso allo stesso tempo. Se l'uomo medio non è interessato ad abbandonare un percorso fatto da lavoro nel terziario, stipendio, consumo e intrattenimento, parallelamente non verrà neanche scosso da eventuali blocchi nei trasporti delle merci, nella comunicazione, nella distribuzione elettrica. La sua unica reazione sarà quella di sentire la mancanza di tali comodità e chiedere un maggiore controllo della sua vita, a protezione delle sue prigioni. Vivere interferendo il meno possibile con la società, tagliare al massimo i legami di sopravvivenza comandati dal sistema produttivo, seguire le proprie passioni e condividerle con chi le comprende, crescere per poi tornare nel nulla senza lasciare discendenze, accogliere con entusiasmo una crisi mondiale come spunto all'abbandono delle abitudini, ecco una possibile alternativa che sembra più sensata. 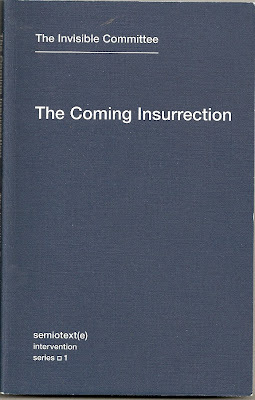 The Coming Insurrection non è nulla di nuovo, tenendo conto che dall'inizio del '900 innumerevoli correnti di pensiero hanno analizzato a lungo la decadenza dell'uomo in sè stesso, ma rimane comunque un saggio interessante da leggere, per ricordarsi che da qualche parte del mondo esistono altre persone che tentano una diversa evoluzione delle cose. Potete leggere tutto il libro gratuitamente in inglese online su paycreate.com/thecominginsurrection/ qui sotto invece citazioni (per me) particolarmente significative per avere una migliore idea dei contenuti di quelle pagine. Buona lettura! It is no longer a matter of foretelling the collapse or depicting the possibilities of joy. Whether it comes sooner or later, the point is to prepare for it. It’s not a question of providing a schema for what an insurrection should be, but of taking the possibility of an uprising for what it never should have ceased being: a vital impulse of youth as much as a popular wisdom. If one knows how to move, the absence of a schema is not an obstacle but an opportunity. There will be no social solution to the present situation. First, because the vague aggregate of social milieus, institutions, and individualized bubbles that is called, with a touch of antiphrasis, “society,” has no consistency. Second, because there’s no longer any language for common experience. And we cannot share wealth if we do not share a language. There will be no end of psychologists, sociologists, and literary hacks applying themselves to the case, each with a specialized jargon from which the conclusions are especially absent. It’s enough to listen to the songs of the times - the asinine “alt-folk” where the petty bourgeoisie dissects the state of its soul, next to declarations of war from Mafia K’1 Fry—to know that a certain coexistence will end soon, that a decision is near. The couple is like the final stage of the great social debacle. It’s the oasis in the middle of the human desert. Under the auspices of “intimacy,” we come to it looking for everything that has so obviously deserted contemporary social relations: warmth, simplicity, truth, a life without theater or spectator. But once the romantic high has passed, “intimacy” strips itself bare: it is itself a social invention, it speaks the language of glamour magazines and psychology; like everything else, it is bolstered with so many strategies to the point of nausea. This floating population must somehow be kept occupied. But to this day they have not found a better disciplinary method than wages. It’s therefore necessary to pursue the dismantling of “social gains” so that the most restless ones, those who will only surrender when faced with the alternative between dying of hunger or stagnating in jail, are lured back to the bosom of wage-labor. The burgeoning slave trade in “personal services” must continue: cleaning, catering, massage, domestic nursing, prostitution, tutoring, therapy, psychological aid, etc. This is accompanied by a continual raising of the standards of security, hygiene, control, and culture, and by an accelerated recycling of fashions, all of which establish the need for such services. Mobility is this slight detachment from the self, this minimal disconnection from what constitutes us, this condition of strangeness whereby the self can now be taken up as an object of work, and it now becomes possible to sell oneself rather than one’s labor power, to be remunerated not for what one does but for what one is, for our exquisite mastery of social codes, for our relational talents, for our smile and our way of presenting ourselves. This is the new standard of socialization. The metropolis is a terrain of constant low-intensity conflict, in which the taking of Basra, Mogadishu, or Nablus mark points of culmination. For a long time, the city was a place for the military to avoid, or if anything, to besiege; but the metropolis is perfectly compatible with war. Armed conflict is only a moment in its constant reconfiguration. We have to see that the economy is not “in” crisis, the economy is itself the crisis. It’s not that there’s not enough work, it’s that there is too much of it. There is only one alternative to the coming apocalypse: reduce growth. Consume and produce less. Become joyously frugal. Eat organic, ride your bike, stop smoking, and pay close attention to the products you buy. Be content with what’s strictly necessary. Voluntary simplicity. Mercury levels in human breast milk are ten times higher than the legal level for cows. And these lips which swell up after I bite the apple—but it came from the farmer’s market. The simplest gestures have become toxic. The situation like this: they hired our parents to destroy this world, now they’d like to put us to work rebuilding it, and—to top it all off—at a profit. No bonds are innocent in an age when holding onto something and refusing to let go usually leads to unemployment, where you have to lie to work, and you have to keep on working in order to continue lying. Form communes. Communes come into being when people find each other, get on with each other, and decide on a common path. The commune is perhaps what gets decided at the very moment when we would normally part ways. 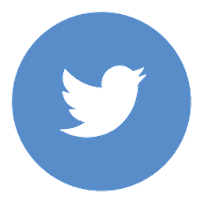 The exigency of the commune is to free up the most time for the most people. And we’re not just talking about the number of hours free of any wage-labor exploitation. Liberated time doesn’t mean a vacation. Vacant time, dead time, the time of emptiness and the fear of emptiness - this is the time of work. There will be no more time to fill, but a liberation of energy that no “time” contains; lines that take shape, that accentuate each other, that we can follow at our leisure, to their ends, until we see them cross with others. Escaping this fate calls for a long and consistent process of apprenticeship, and for multiple, massive experiments. It’s a question of knowing how to fight, to pick locks, to set broken bones and treat sicknesses; how to build a pirate radio transmitter; how to set up street kitchens; how to aim straight; how to gather together scattered knowledge and set up wartime agronomics; understand plankton biology; soil composition; study the way plants interact; get to know possible uses for and connections with our immediate environment as well as the limits we can’t go beyond without exhausting it. The Paris Commune found a partial solution to the keeping of records: they burned down City Hall, destroying all the public records and vital statistics. We still need to find the means to permanently destroy computerized databases. [...] coordinations are unnecessary where coordination exists, organizations aren’t needed when people organize themselves. An authentic pacifism cannot mean refusing weapons, but only refusing to use them. Pacifism without being able to fire a shot is nothing but the theoretical formulation of impotence. Such a priori pacifism is a kind of preventive disarmament, a pure police operation. In reality, the question of pacifism is serious only for those who have the ability to open fire. In this case, pacifism becomes a sign of power, since it’s only in an extreme position of strength that we are freed from the need to fire. The goal of any insurrection is to become irreversible. It becomes irreversible when you’ve defeated both authority and the need for authority, property and the taste for appropriation, hegemony and the desire for hegemony.